The FTSE 100 enjoyed strong gains this afternoon as sterling came under pressure and after the European Central Bank said despite ending its quantitative easing programme it would not raise interest rates until mid-2019 at the earliest. By the close the index of leading UK shares was up 0.8% at 7,765.79. Good weather and the Royal Wedding helped UK retail sales beat expectations of 0.5% in May, delivering a 1.3% rise according to the Office for National Statistics. In corporate news logistics firm Stobart (STOB) kicked former CEO Andrew Tinkler off its board. Tinkler along with other shareholders is trying to unseat the current chairman. 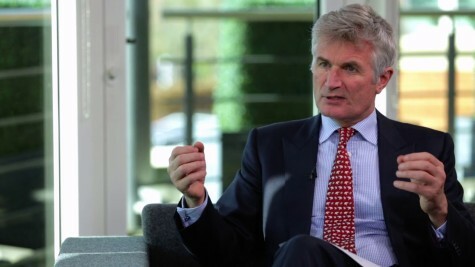 Shares in consumer goods giant Unilever (ULVR) fell 2.8% to £40.36 after the company appeared to confirm it would lose its FTSE 100 status thanks to plans to move its headquarters to Rotterdam. Publishing group RELX (REL) fell 2.8% to £16.10 on negative analyst comment from investment bank UBS. Wall Street was flat early on after suffering heavy losses yesterday. By 4pm UK time the S&P 500 was up 0.13% at 2,779.26. Miner Anglo American (AAL) ticked up 0.12% following Mitsubishi's commitment to increase its stake in Anglo American Quellaveco to 40% following a $600m investment. Anglo American Quellaveco owns the Quellaveco copper project in Peru. IT systems provider Aveva (AVV) reported adjusted profit before tax grew 6.8% to £162.8m in the year to 31 March. The strong performance was driven by the heritage AVEVA business and a robust performance from the heritage Schneider Electric industrial software business, helping the shares rally 11.1% to £28.14. Owner of the Imperial Leather brand PZ Cussons (PZC) fell 5.6% to 219.8p after warning macro conditions will remain challenging with upcoming general elections in Nigeria and Indonesia. The company said anticipated full year pre-tax profit will be in the range previously indicated, but at the bottom end of the range. Drug developer GlaxoSmithKline (GSK) revealed its two-drug treatment for HIV met its primary goal after demonstrating the ability to control HIV, providing a 2.7% boost in the stock to £15.87. Primary Health Properties (PHP) was flat at 113.7p despite its subsidiary acquiring Moredon Medical Centre in Moredon, Swindon. Shares in Vernalis (VER) were up 8.5% to 6.2p, paring earlier more significant gains, following several takeover approaches after putting itself up for sale. The pharma firm also terminated its agreement with Tris Pharma. Shares in Magnolia Petroleum (MAGP) catapulted 64.7% higher to 0.7p after signing a non-binding deal with a third party for the sale of all 31 wells in which it has varying interests in North Dakota for $1.5m. GoCompare.com (GOCO) acquired energy comparison and switching specialist Energylinx for £10m in cash, helping shares in the former rise 6.4% to 137p. Majestic Wine (WINE) reported a £8.3m pre-tax profit, up from a £1.5m loss in 2017 thanks to 11.3% underlying sales growth in Naked Wines. Shares in the were up 2% to 459p. OnTheMarket (OTMP) revealed 63% growth in listing deals with UK estate and letting agents since its IPO in February. The shares fell 3% to 172.25p.